ready to catch a ride when traveling within this capital city. In fact, getting into Juneau by car is not even an option because of the exceptionally rugged terrain. Access is limited to those traveling by boat or plane. Visitors who do make it to Juneau will tell you that this city is similar to a colder version of Seattle. With over fifty inches of rainfall averaged yearly, it’s easy to understand that comparison. Being somewhat isolated means that Juneau must provide entertainment for her residents. Most will likely be happy exploring the surrounding wilderness, which included the awe-inspiring Mendenhall Glacier, but others might want to check out popular local attractions like the Alaska brewing Company. 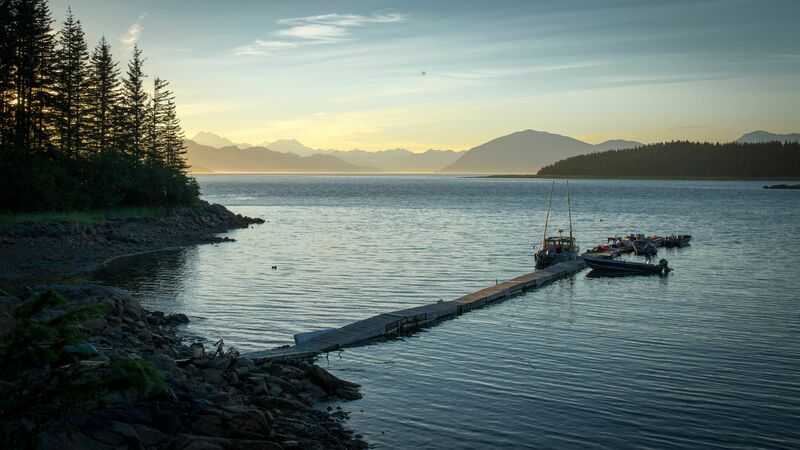 There are many charter fishing operations run out of Juneau, as are there camping opportunities, which the US Forest Service regulates, offering both tented and cabin campsites. Visit Juneau and enjoy being surrounded by the excessive natural beauty that is Alaska. Cool little seaside town in southwest Alaska which is also the state capital. Spend a weekend or more in Juneau and watch the cruise ships pull in and out or walk the docks to Tracy's King Crab Shack. Tons of hiking in every direction. There's a little bit of everything in Juneau but sunshine is in short supply. Matenuska Glacier and whale watching are also big hits. We visited Juneau as the first port in our Alaska Inner Passage cruise. As we approached the city, my first reaction was "Where is the rest of it"? I was expecting a state capitol to offer more....Maybe at least one tall building? The downtown is walkable and offers signage teaching you about history of the area. Juneau is near the famous Mendenhall Glacier, also included in popular Alaska cruises. Juneau is a great little town! If you are on a cruise ship, it will surely be one of your stops. There is a lot to do and see here: cute little shops, the Red Dog Saloon, Mendenhall Glacier, the Rainforest Garden, ziplining, dog sledding, etc. We had a wonderful time! I caught an Orca Whale as he jumped not far from our excursion Alaska should be number one on anyone's bucket list. The scenery is gorgeous and the cruise was fantastic on Seven Seas Navigator. There was even a naturalist on board who we could listen to as we came and left pot. Book now. one of our stops on our alaska cruise on princess. great shopping, and we got to see so much wildlife, all over the freeway's ledge. WHAT! people and animals living in harmony? We got to see a momma bear and a baby bear, some totem poles, bald eagles, deer, and a heckuva lot of salmon, stereotypically swimming upstream. I stopped in Juneau as part of an Inside Passage cruise. After a lunch at the Red Dog Saloon, I took a van tour of the city and the Mendenhall Glacier and really enjoyed it. Similar to the way, Maui once stole my heart - now Juneau beckons. I love the people I've met there, and oh, the wildlife. I never believed I was meant to see whales until I went whale watching with Captain Jack. But all the whale watching boats share info, so you can't go wrong in Juneau. I'm not sure I could handle Juneau in the winter, but I love it in the summer. Don't miss hiking around Mendenhall Glacier and on Mount Roberts. Juneau is a great small Alaskan city. I found the trick to really enjoying Juneau is by avoiding the tourist traps, hanging where the locals hang, and getting outside the city. There is some great hiking in the forest surrounding Juneau, and Mendenhall Glacier is a must see!